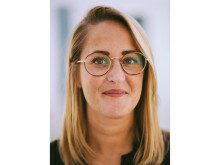 Marina Ferrer, a PR student at the University of Leeds who's currently interning at Apple, will be sitting on our FutureComms16 panel - #YoungPR | The Traditional vs The Reality of PR. The aim of the panel is to explore what is being taught at university vs the reality of the PR industry and whether, indeed, if PR is a skill which can be taught. In its most simplistic and traditional definition, PR is the way organisations communicate with the public, media, and stakeholders to shape a positive identity. This can manifest either in short-term campaigns like product launches, or in strategic, long-term goals like building brand image. While reputation management remains at the core of the practice, I think modern digital platforms have altered our means of communication significantly, hence transforming the way we transmit information and plan our campaigns. 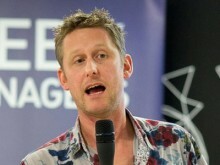 PR has now become a compelling marketing tool that can help raise brand awareness and connect audiences with organisations, which can then translate into coverage in print media or social media. Interestingly, my course offerings primarily look at "traditional" PR and its history, focusing on the practice as the ‘art of the spin’ in a democratic society. We’ve discussed its role as a news source in political agendas, which certainly doesn’t reflect nor define the entirety of the industry, or the role of all PR professionals today. While studying the sociocultural impacts of PR is important, my course is primarily grounded on the theory. 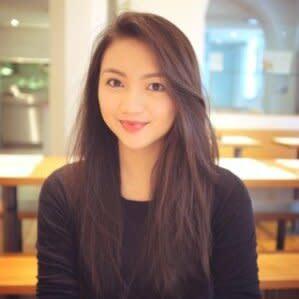 There’s a lack of practical modules and classes offering further insight into today’s digital environment. Instead, I gained practical skills and a deeper understanding of today’s industry through internships and work experience. My interest in the media stemmed from that childhood passion for writing, however what really drew me to PR as a potential career path was how dynamic the industry is. No two days are ever the same- it’s such a fast-paced environment and the role offers so much variety because the media landscape is constantly evolving. It’s a multifaceted job, and I love that it allows me to get involved with every aspect of the media industry and get creative in a myriad of ways. Traditionally, the different sectors of the media industry (for example advertising, social media, and PR) were highly distinct and separate from each other- however nowadays, that landscape is changing. With the introduction of new digital platforms and the big data boom, those boundaries are gradually fusing as it gives us more channels to engage with our audience. I think we’re going to start seeing brands and agencies start to develop more holistic strategies, meaning a shift towards a multichannel content marketing mix. This could potentially mean stronger integration across digital channels including video engagement and social media. Influencer marketing is also definitely one to look out for, however what I’m also excited to see is how we can leverage emerging technologies such as virtual reality- although that’s still in its early stages! While storytelling and media relations will remain at the core of PR, I think the evolving media landscape and today’s digital offerings mean the industry will continue to be challenged and transformed by such mediums. 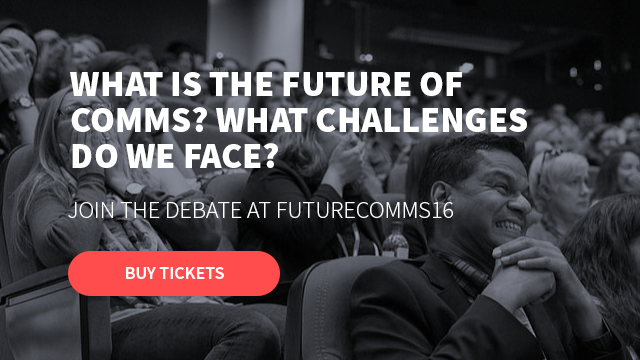 Marina will be speaking on the #YoungPR | The Traditional vs The Reality of PR panel at FutureComms16 on 15th June 2016. During my two and a bit years here at Mynewsdesk, I've had the honour of working alongside and in collaboration with some of the industry's most brilliant women - each of them inspiring me and teaching us all something new. But despite the sheer volume of smart and successful women in PR, still we see male dominated panels, hosts and keynotes. And that, to say the least, is pretty frustrating. 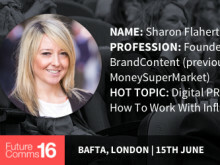 ​At FutureComms16 on 15th June, Sharon Flaherty, the Founder of BrandContent and former Head of PR and Social at MoneySuperMarket.com will be lifting the lid on how vloggers and bloggers want to work with brands.